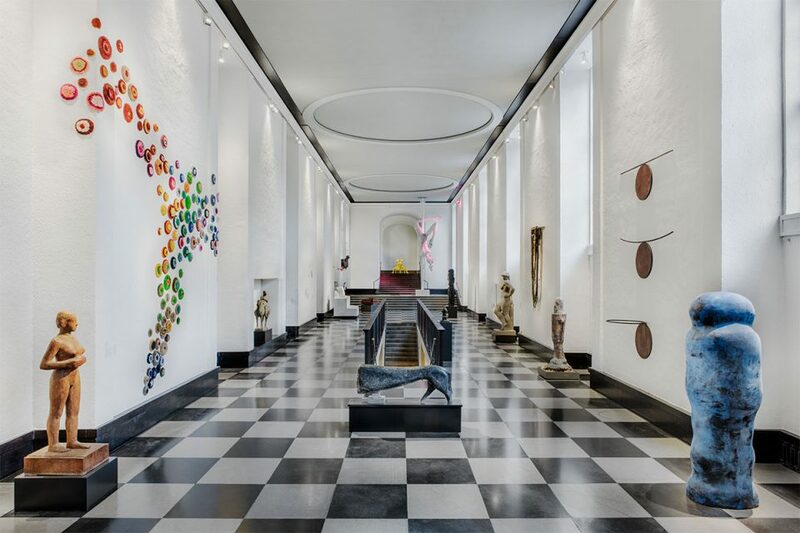 The long and narrow, transversal Sculpture Hall with its high ceiling is the first room that visitors enter after walking up the stairs from the entrance. Here you will find a multitude of sculptural expressions with an emphasis on the modern and contemporary. 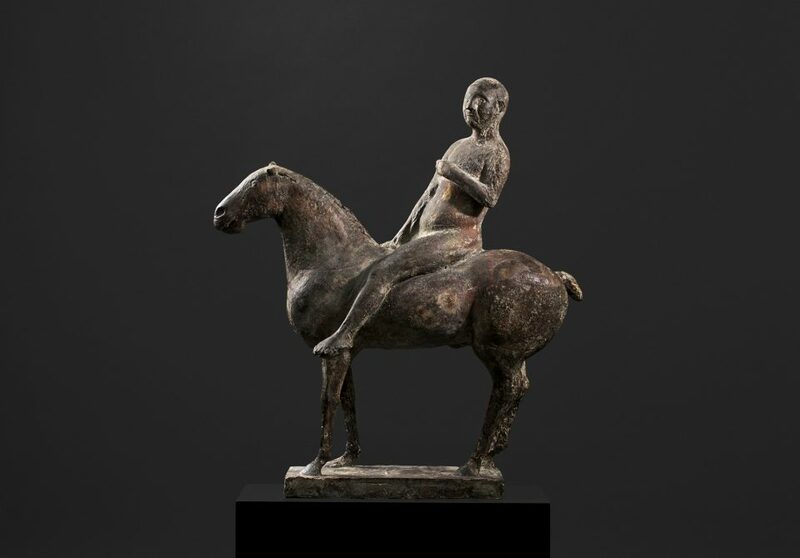 Some representative examples of classicism-inspired Modernism are Gerhard Henning’s Ingeborg and Astrid Noack’s Standing Woman, as well as Marino Marini’s Rider. 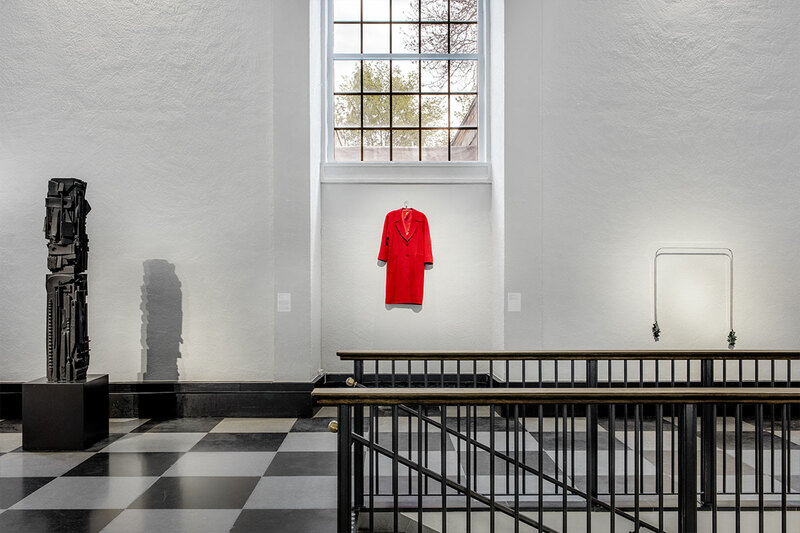 On display here are also abstract works by some of the most prominent international artists of late Modernism, for instance a mobile by Alexander Calder and the wooden sculpture Totem I by the New York based feminist icon Louise Nevelson. Older Modernist sculptures enter a dialogue with contemporary works by Monica Larsen-Dennis and Cajsa von Zeipel, among others. Thanks to their format and expressive force, they are a commanding presence in the room, while also making references to older sculptural traditions. 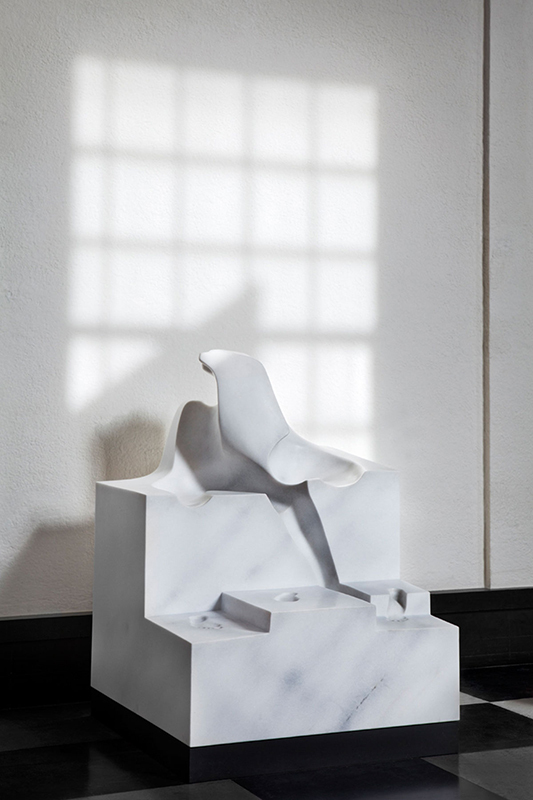 Larsen-Dennis’ marble sculpture evokes the cavity left by the figures in Rodin’s The Kiss, and von Zeipel’s spinning stripper with platform shoes can be described as a reinterpretation of the classical sculptural tradition with its ideal bodies in white marble.